Looks like Beaver had it best. 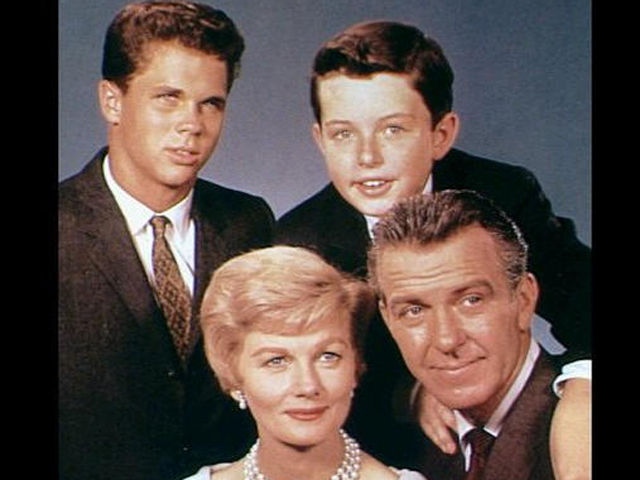 In a recent survey, June Cleaver (played by Barbara Billingsley), from the popular 1950s television show "Leave it to Beaver," came out on top for the mom that Americans would have most liked to be their own mother when they were growing up. Coming in second was working mom Clair Huxtable of "The Cosby Show," and third was Carol Brady of "The Brady Bunch." The results come from The Harris Poll, which also surveyed adults in 2008 and came up with the same Top 3 moms. Guess Americans stay true to their TV mamas. Tying for fourth place were Marion Cunningham from "Happy Days," and Donna Stone from the "The Donna Reed Show." Dropping off the list from 2008 was Lorelei Gilmore of "Gilmore Girls," and Marge Simpson of "The Simpsons" -- a mother based on real life. Marge was inspired by "Simpsons" creator Matt Groening's mother, Margaret Groening, who recently died. The Harris Poll was conducted online in the United States between April 10 and 15, 2013, among 2,345 adults. Check out the photo gallery above to see the entire list. Tell us: Who are your favorite TV moms of all time?